U.S. Cellular announced plans to increase the availability of its phones through a distribution deal with Walmart. Consumers can now purchase U.S. Cellular phones at 460 Walmart stores around the country. U.S. Cellular said that the Samsung Galaxy S III, Chrono 2, and Freeform 4, as well as the Huawei Ascend II will be some of the phones available at Walmart stores. Customers who activate a U.S. Cellular postpaid plan at a Walmart store will be eligible for rewards, such as early device upgrades and discounts on certain services. Samsung and MetroPCS today published some information on their web sites about the R270 Contour 2. This entry-level flip phone, which is a follow up to the R250 Contour, is being offered by MetroPCS for $59.99. It inlcudes a 1.3-megapixel camera, Bluetooth 2.1 with stereo support, WAP browser, email, dual displays, and GPS. 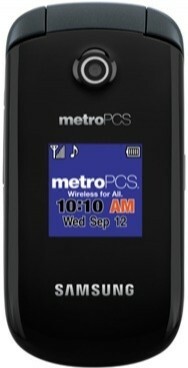 The Contour 2 can be purchased directly from MetroPCS's web site. The R270 Contour 2 is being sold by U.S. Cellular as the R270 Chrono 2. 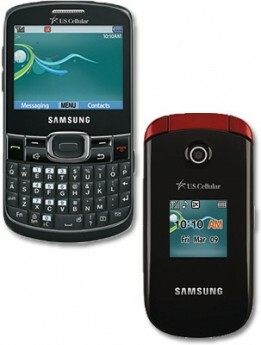 U.S. Cellular recently began selling the Freeform 4 and Chrono 2, two basic feature phones from Samsung. Shared features of these two devices include Bluetooth 2.1, speakerphone, web browsing, and social networking. Both support microSD cards up to 32GB. Freeform 4: This bar-style phone includes a full QWERTY keyboard for messaging and has a 2-megapixel camera, mobile email, media player and voice-activated dialing. It costs $39.99. Chrono 2: This traditional flip phone has a 1.3-megapixel camera, 3G data, GPS for navigation, and dual displays. It costs $19.99.